The Christmas Truce Memorial was dedicated by The Duke of Cambridge Prince Harry on December 12, 2014, the 100th anniversary of an informal truce between British and German troops in the trenches of France during World War I, in which they sang carols, exchanged gifts and even kicked around a soccer ball. 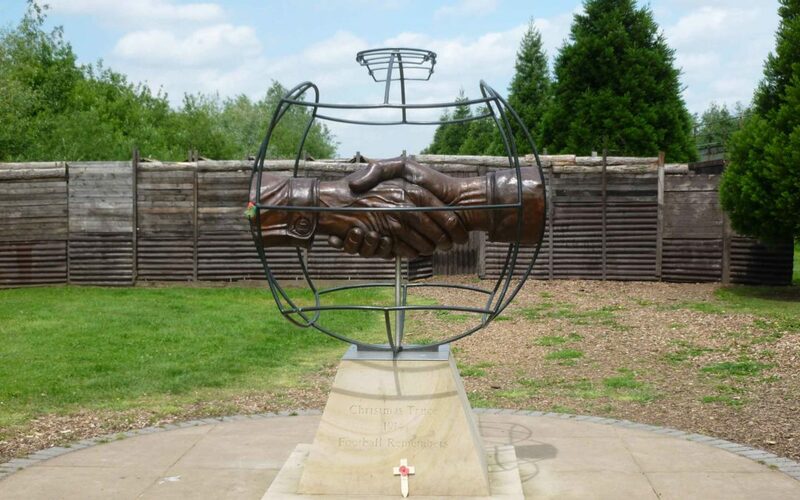 It is located in the National Memorial Arboretum in Staffordshire, a site that contains more than 330 memorials, many of them to military organizations but also dedicated to organizations and individuals. The statue was designed by a 10-year-old schoolboy in a competition that involved more than 30,000 schools.